After a startlingly wonderful second half display, led by the rejuvenated Eden Hazard, against rivals Tottenham on Monday night, a game in which ended Tottenham’s title chances, Chelsea face a trip up North to face Sunderland as the season’s end looms. Sunderland are in a fight for their lives, with rivals Norwich and Newcastle set to face Manchester United and Aston Villa respectively. With Newcastle expected to beat the already relegated Aston Villa, Sunderland cannot afford to take anything over than 3 points away with them on Saturday. All Chelsea players are available for selection apart from the long term injured Kurt Zouma and Loic Remy. There’s a chance Guus Hiddink will let players who haven’t played as much recently start the game. Full back Billy Jones (hip injury) could be unavailable for selection. 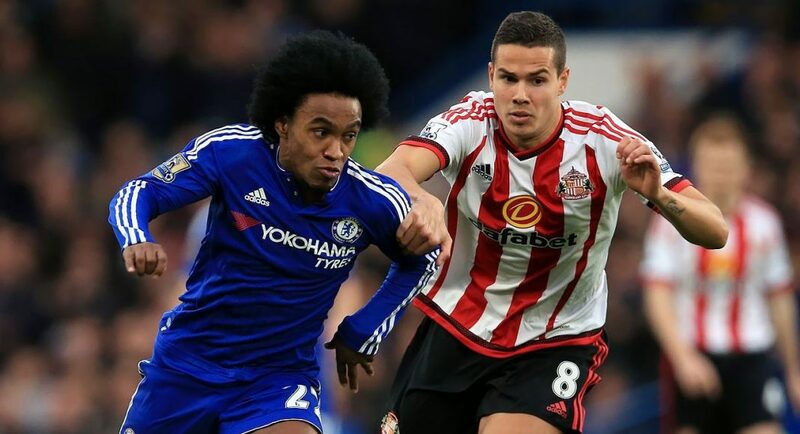 Chelsea have won 19 and lost just two of their last 22 Premier League games against Sunderland. Sunderland have failed to score in their last three Premier League games at home. Only once in Premier League history have they gone four on home soil without finding the net, back in December 2005. Former Blues forward Fabio Borini has scored in two of his three Premier League appearances against Chelsea for Sunderland. Sam Allardyce’s side have won just one of their last nine league games (D6 L2). A league-high 19 different players have scored for Chelsea in the Premier League this season. ‘It’s important for ourselves, for our pride and for our enjoyment of football,’ Hiddink began. ‘Second, we want to have the same approach for all the teams who are still fighting to avoid relegation. They deserve the same approach in our seriousness, with no guarantee that we can win, but we will go for the win of course. ‘Given the situation it wouldn’t be fair of us to have a serious approach for the Spurs game and not have a serious approach for the other games. ‘I am not going to change a lot in the team,’ Hiddink added. ‘Before, I made some changes with Academy players, but it would not be fair to do it again to the other teams we are approaching in the last games. Chelsea needs to win this game (match), and am praying for that. Previous articleConte VS Guardiola VS Mourinho- who is the best manager? Who will achieve success next season?